Zanu-PF rebels have initiated a process to recall President Emmerson Mnangagwa from the presidency, ZimLive can reveal. 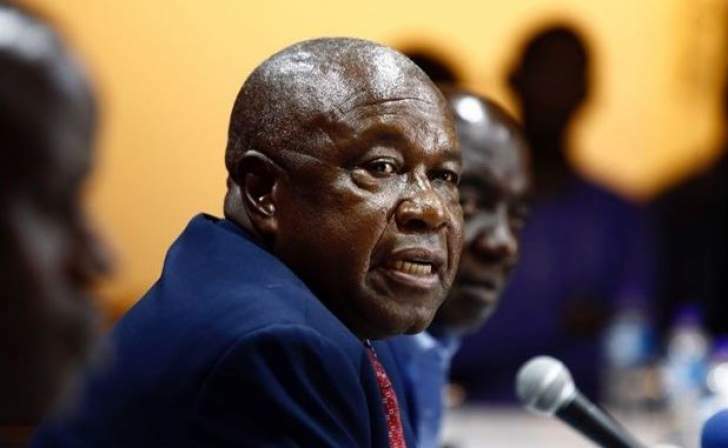 At least 35 Zanu-PF MPs met at the party's headquarters in Harare on Friday night, where war veterans' leader Christopher Mutsvangwa laid out the plan, sources have said. The rebels are said to be considering a wildcard candidate to take over. Legally, Vice Presidents Constantino Chiwenga or Kembo Mohadi, the other Vice President, would assume the presidency on an acting basis until Zanu-PF nominates a replacement, who could be a new name. The rebels are supported by Zanu-PF heavyweights who were sidelined by Mnangagwa from his Cabinet, among them former Finance Minister Patrick Chinamasa, Zanu-PF chair Oppah Muchinguri and Obert Mpofu, the former Home Affairs Minister. The plotters, sources said, were fanning out this weekend to the provinces to mobilise parliamentary and party support for Mnangagwa's ouster. The panic in Zanu-PF has been occasioned by a fear that the party could be "run out of town" by a popular uprising. This follows Monday's widespread protests over a 150 percent increase in the price of fuel decreed by Mnangagwa. The protesters exhibited a militancy never before seen. For Mutsvangwa and others, who have traditionally been Mnangagwa loyalists, there is a second added danger that the military faction in Zanu-PF could seize control of the party and banish them. "The calculation by the rebels is pre-emptive. Mnangagwa is quite clearly mortally wounded and the two Zanu-PF factions know they will follow him to his political grave if they don't act. So, what you might have, if they succeed, is a mercy killing where Mnangagwa is put out of his misery for a new leader that they hope can haul Zanu-PF back from the impending precipice," a high-level source familiar with the plan said. "The key grievance is how he has led the party and the country since the coup in November 2017. Things have become worse, not better. Many comrades are disgruntled that he has elected to surround himself with people from his village, side-lining those who secured him the presidency. "They want to first present him with the numbers (of disaffected MPs), symbolically, and urge him to resign. If he doesn't, they will take it a step further and attempt to impeach him – but that may need the support of the MDC to go through because Mnangagwa has his own loyalists who would whittle down the Zanu-PF majority." ZimLive understands the rebels miscalculated by including former Harare East MP Terence Mukupe and Gokwe Nembudziya MP Justice Mayor Wadyajena – two Mnangagwa loyalists who were snubbed for Cabinet posts – in their plot. Mukupe and Wadyajena had since pressed the panic button, alerting Mnangagwa to the palace coup. Mukupe took to Twitter on Saturday, firing a series of tweets in which he said the next 72 hours would be crucial to the future of Zanu-PF. "I'm worried with what's going on. The citizens are blind to what's really going on. The next 72hrs are going to be crucial regarding the path we are going to take as a nation. Chokwadi chichabuda (the truth will come out). President Mnangagwa is not the issue. Viva Zimbabwe," Mukupe said, while also posting a video of a popular Zanu-PF liberation war song. Chiwenga, and a faction of the military, have also been growingly concerned with Mnangagwa's leadership, ZimLive was briefed. He told Mnangagwa to announce the 150 percent fuel price increase before leaving on his five-nation trip because he was tired of making pronouncements which were later contradicted by Mnangagwa or some of the President's loyalists, a source said. "What you've seen is Chiwenga becoming less vocal about what's happening. He has become quite despondent with a running narrative of Mnangagwa as the good guy and himself as the irrational one who makes all the radical decisions," the official said. The rebels know they will need a lot more than the 35 MPs to oust Mnangagwa. Although sources told ZimLive the plot was "viable", the military – which plays a significant role in Zanu-PF politics – could yet weigh in on the side of either the Mnangagwa or Chiwenga factions. Mnangagwa remains in Eastern Europe where he is begging for a bailout to kick-start Zimbabwe's failing economy. He is expected to attend the World Economic Forum in Davos, Switzerland, this week but the longer he stays out, his opponents will feel more emboldened to push through their daring plan. "It will certainly become clearer after the weekend, what shape the rebellion takes," our source said. "There are so many dynamics at play, but what cannot be denied is that Mnangagwa's presidency has hit the buffers. He came in with a lot of goodwill, some of which he bought by dumping his friends. Now, that goodwill is gone and those friends he cast away on his way up are ready to twist the knife on him. "The opposition is knocking at the gates and the Zanu-PF home is in turmoil. It's a boiling pot. You have to say anything is possible." In March 2018, Mnangagwa told of a plot to impeach him. He was speaking at the conclusion of Zanu-PF's primary elections. "Some of those who have won these primary elections have two minds. They have gone to join the Zanu-PF wagon using various tricks, money included, to be elected with a possible view that once in Parliament, they will band together and move a motion of impeachment," he said. "Second, our Constitution provides a tool, an instrument to chuck out from Parliament any member who we think is not Zanu-PF anymore." Mukupe promised to give us a comment but had not done so by the time of publication. Mutsvangwa's phone rang unanswered, and a message left for him had not been returned.